They responded very quickly and they did a great job! Thanks! 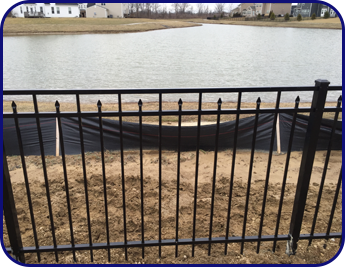 2 Brothers Fencing LLC in Indianapolis, Indiana, provides you with fencing repairs, installations, and materials they help protect your home or business while enhancing its exterior aesthetic. No matter what type of fence you choose, whether it's wrought iron fence or vinyl fencing, we'll ensure that it's aesthetically pleasing. Whether you want to add value to your home or enhance security at your business, our fencing experts are here to help make your plans a reality. 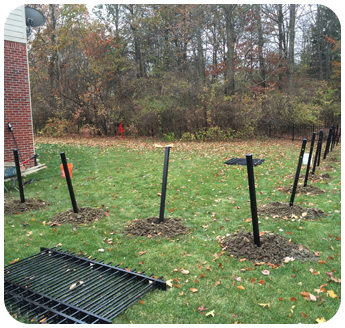 When we install a fence, our crew comes out to your property and goes over the contract for our work in person. We'll go over everything with you to ensure that you have the right fence, whether it's privacy fence or security fencing. Everything about the layout is made clear by the foreman, including where each fence post goes. You know exactly what you're getting before anything is signed and once the paperwork is done, we get right to work. Our pricing plan works to make the process easy on both parties involved, with only 50% up front and 50% upon completion. Our affordable pricing and quick completion time of only one to three weeks always put a smile every customer's face. When your fence or gate has been damaged and you need to get it repaired, there's no team better than the experts our fencing company. Know that you're getting the best price for an exceptional level of workmanship that will make your fence look like it was just installed.